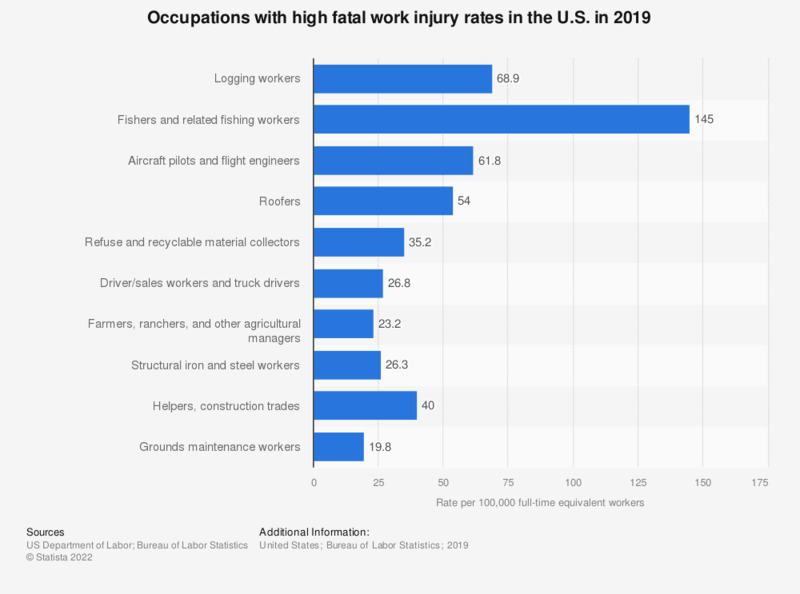 This statistic shows preliminary data for the top 10 occupations by fatal work injury deaths per 100,000 full-time equivalent workers in the U.S. in 2017. In 2017, the highest occupational injury death rate was to be found among logging workers with a rate of 99.8 deaths per 100,000 workers. How often do you normally check your work email outside of normal working hours? Do you ever suffer from the ‘Sunday Blues’?